Born Leader Let me get this out as plainly as possible. This episode left me very cold. It’s not that it was inherently boring. It’s just that I was expecting a lot from The Governor. It’s like finally playing a long awaited video game and realizing during the first level that it isn’t quite what you hoped. Is it enough to give up? No. But are you worried that you might make it all the way through and ultimately be disappointed, yes. The Gov was just… well… too in the middle. And not in a conflicted “is he good or bad” kind of way. In a stoic, sociopath kind of way. Which are the most boring sociopaths of all. I guess I just hoped for someone with a little more meat on his bones. He didn’t have to be explosive like Al Swearengen or quietly manipulative like Ben Linus. Just… something. Take our pivotal character beat: he massacres a convoy of soldiers, presumably for their food and ammo. Unclear is why. There are plenty of good reasons. Maybe it’s just a numbers game, they only have so many resources and you can’t add 15 people to his population and at the same time, he can’t be seen turning soldiers away at the gates. Maybe he’s tried to bring in military types in the past and they screw up his strong man leadership. Or maybe he just likes killing people. The dumbest choice is the third. Most notably because serial killers tend to make terrible leaders and The Governor’s biggest trait is that he is running a societal oasis in a raging hellscape. I hope there is more here. I really do. It seems as if Woodbury has done him well. He was far more even keel and didn’t drop a single racial slur the entire hour. He even seemed downright conciliatory toward Andrea. – Is Merle clean? Did the Governor help him kick the habit? – Is Merle still racist? Has this time changed him? – Does he regret his actions leading up to the “hand incident”? Face Facts Dale face is dead. 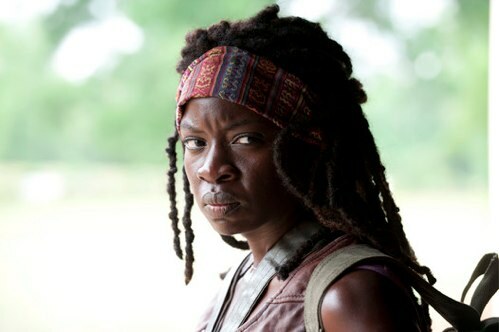 Long live the Michonne Mug! I think the reason he kills the soldiers is your #2. Military training and leadership would pose a severe threat to him. He won’t have any sort of coup. Is there something in the tea? There are glimpses of his true self but he always tempers it with a public persona of a stoic, rational leader. Notice when he explains away his rifle butting of the solder to the obviously new squad member as not wasting a bullet even though we can see the look on his face. In the comic his is more outwardly demented as seen through the arenas, but the people know this and participate. I think the comic will be more gradual. If we get to the arenas, it will be a slow walk there. Maybe a laced tea drink takes the place of the arena as keeping the people in line. By the end of the episode we see more of his true nature, but he has most of his citizens fooled. For me, the main sticky points were his ever changing accent and the really sorry showing the soldiers put up. It was a bit talky but I think that was necessary to introduce Woodbury. Overall, I liked it. 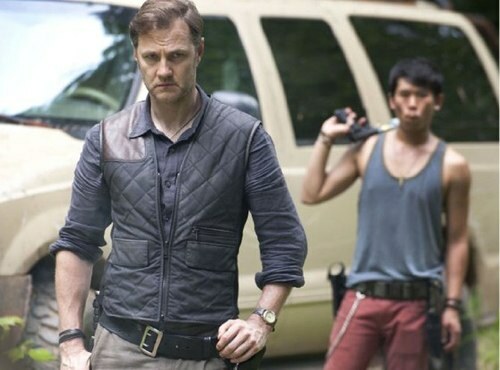 Prediction: If events stay at this episode’s pace for more than two episodes, Woodbury becomes this season’s farm.